Given the YA genre seems to flourish in recent times, it is worthwhile mentioning a specific branch of the genre seems to be flourishing the most. I am referring to the one dealing in post apocalyptic scenarios where our Young Adults have to deal with a world devoid of adults or even a world where the adults are the baddies. And I am pointing at films such as Tomorrow When the War Began or The Hunger Games. 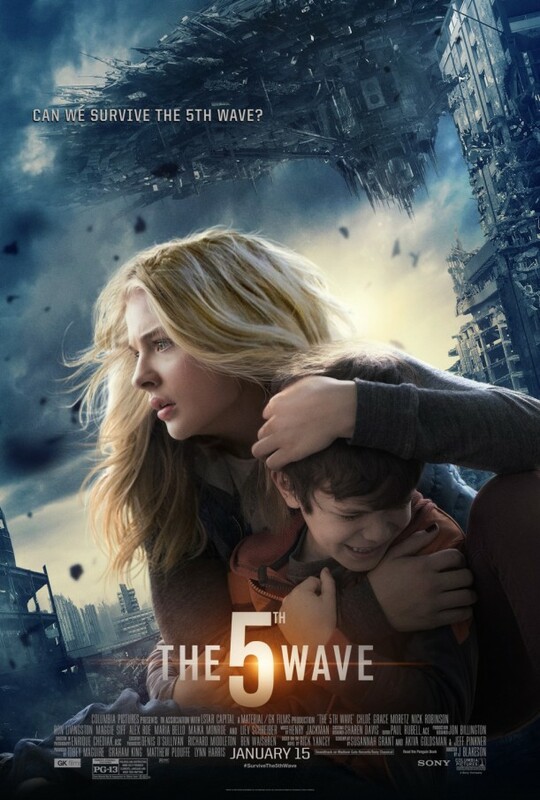 And now, The 5th Wave. If you’re familiar with the genre, you will find nothing new to see here. As per genre standards, we have a good looking American teen surrounded by fellow good looking Americans as they fight off aliens from outer space that invaded and killed the adults. I will note these evil aliens look like humans, which made me wonder aloud regarding budget calls. So yes, another movie where younglings show adults where fish pee from. Most importantly, throughout their adventures their fair [white] legs are freshly shaved, their hair is kept dyed (roots and all), and makeup is generously applied. Because we might let aliens take our parents out, but we will never let them make us look anything but the photoshopped versions of ideal beauty Western society is constantly trying to sell us. And if you think that is not enough for turning a movie into a pile of shite, do consider the fact this movie leaves an opening as wide as Donald Trump’s mouth for a sequel to come. Overall: Our young adults deserve more than this 1.5 out of 5 shite crabs.